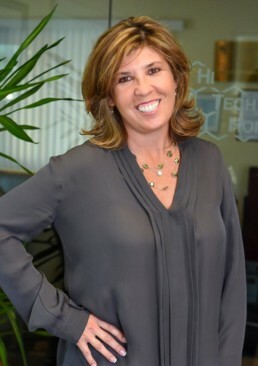 Lisa Costa Corbosiero is the Chief Executive Officer / Owner of Hi Tech Honeycomb (“HTH”) and on both the Board of Directors and the Advisory Board for HTH. In her mid-twenties, Lisa started in the family business by working hands on in HTH’s warehouse and on the manufacturing floor, crediting her father Joao for insisting she learn every aspect of the business. Lisa has a tremendous amount pride and respect for the hard work and dedication her parents Selma and Joao, as well as, her brother John have displayed since starting the company in 1989. In 1997, she became HTH’s Human Resources Director and, during her tenure in that position, grew the company from 30 to 150 employees. Lisa graduated with a B.A. in Mass Media Communications and International Relations from the University of San Diego in 1990. She then received her Human Resources Management certification in 1999. Prior to coming to HTH, Lisa worked in the telecom industry for 5 years as a top sales performer, selling voice and data platforms in Washington D.C. and San Diego. Lisa is actively involved in the San Diego community, and participates in the San Diego Family Business Counsel and sits on the alumni board of Cathedral Catholic High School. She volunteers for various projects with her teenage sons and lends her time to spread the word about organizations that assist youth in the foster care system in the San Diego area. Lisa is married to Michael Corbosiero and they have 2 sons, Nicholas and Lucas, whom she looks forward to being part of the family business one day.